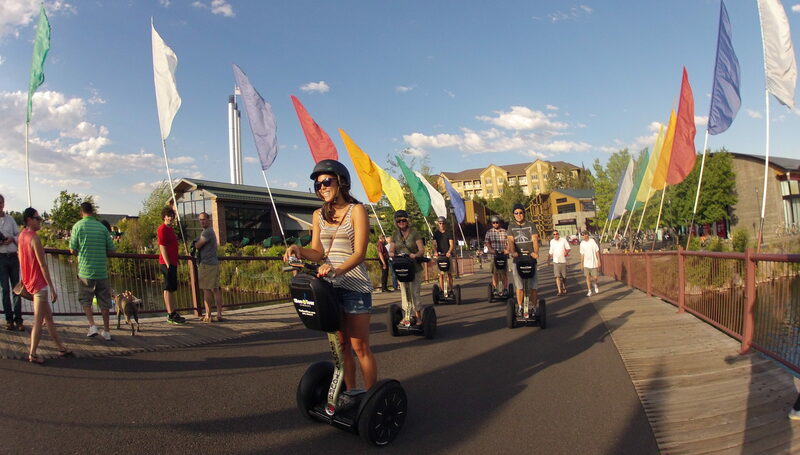 SEGWAY Your Way Around Bend Oregon | Glide Bend Bend With Us! 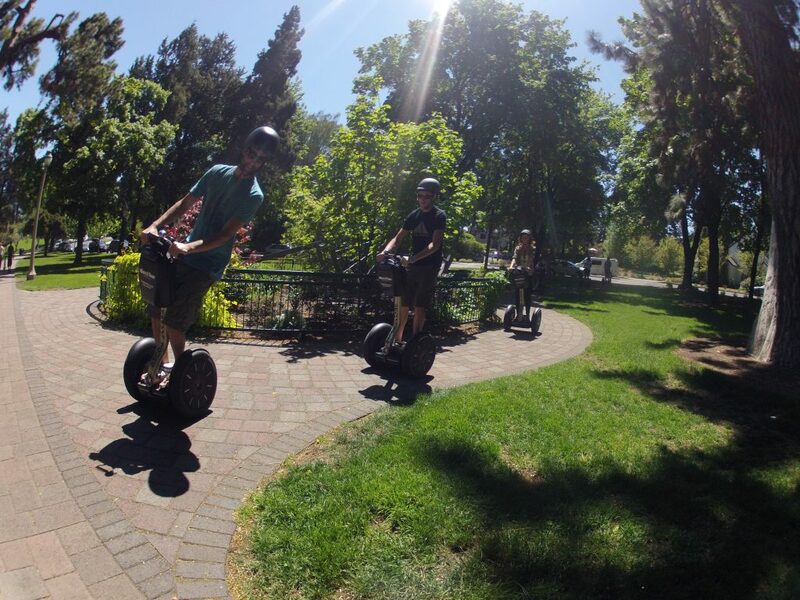 The Bend Tour Company SEGWAY tours are informative and entertaining explorations of Bend’s past and present. Tours highlight the city’s great history, sights, attractions exceptional eateries, breweries, shopping and much more! Drake Park in Downtown Bend. Guided tours glide guests along the magnificent Deschutes River through the Old Mill District and on into Downtown Bend, while also experiencing the beauty of the Cascades, Drake Park and exquisite Mirror Pond. 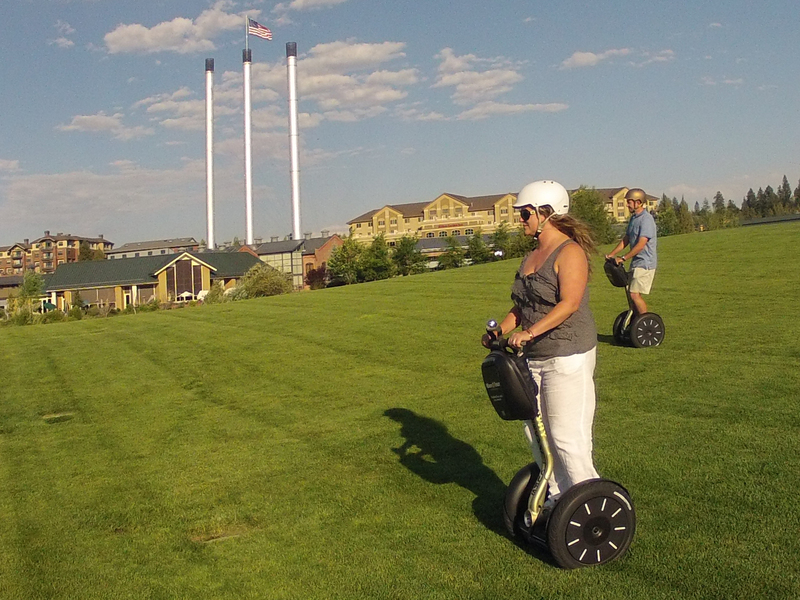 The unparalleled mobility of the SEGWAY allows our guests to glide safely along the pathways of Bend, providing a truly entertaining and unique sightseeing experience with extraordinary access to everything that Bend has to offer! The art’s and culture scene in Bend continues to draw the attention of aficionados from around the world. In addition to the can't-not-see sights like Bend's “flaming chicken” this tour also visits the "wandering rocks", "space port zero", and a 100+ year old local arts classic in Downtown. Keep an eye out for a variety of sculpture styles, curious murals, community projects and more while gliding around town with us.